To receive your spouse’s ideas as information to you rather than an opinion that you must take and change asap, makes it easier to understand and accept each other. It doesn’t mean that his ideas will be yours, or hers will yours as a husband, and you need not agree on everything. You are both different, know that you will never agree on everything. 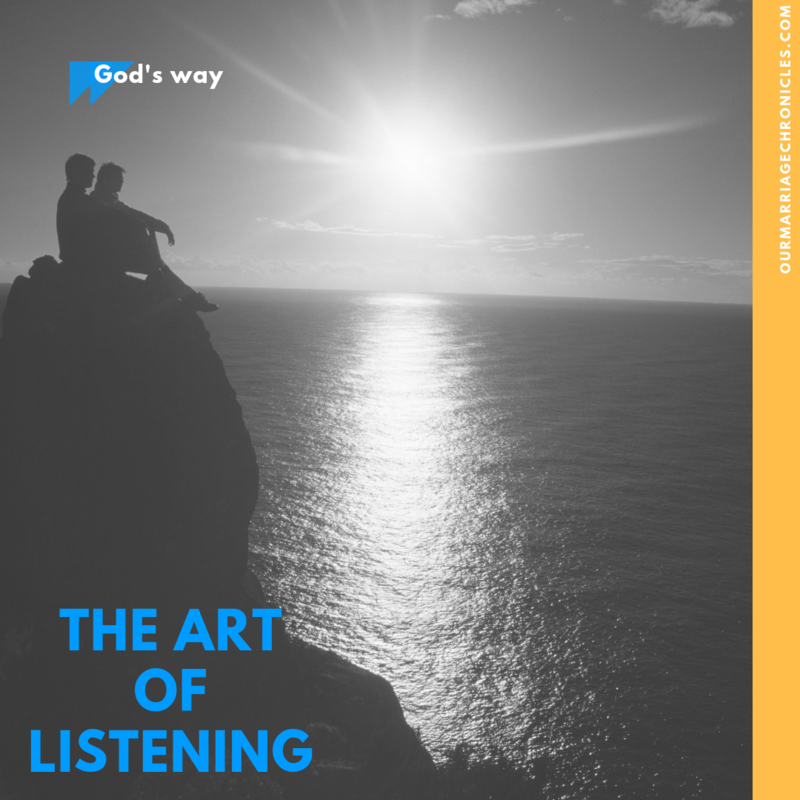 To eliminate the vicious cycle of misunderstandings, in marriage, one needs to develop that art of listening. It’s not automatic and that’s why there needs to be a deliberate choice to grow. To mature, to be better. It means that you will put down the guards that simply spin you off to your defenses, give undivided attention by removing all distractions – TV, mobile phones, house chores, even kids, and assume a posture that says, “I care” through your body language by maintaining an eye contact. Listening to them means that you give them the freedom to hold those ideas, express themselves in a way that they feel cared for, and this meets an intrinsic need. A need for that says “I value you.” A need for affection and affirmation.